Trada Casino is one that has drawn lots of plaudits from gamers that have visited its site and with so many recommendations, it was only right to examine the site. It’s safe to say that the hype surrounding it is well founded, as it offers numerous great games, an outstanding customer service, and quick withdrawals. The Trada Casino online is seamless to operate and simple to navigate as it has been designed in an organized manner. To sign up is extremely easy and takes a couple of minutes. Once players log in, they can quickly notice that every one of its games can be played via a browser and are laid out in a grid which displays thumbnails alongside text for every game. This makes finding the desired games easy. 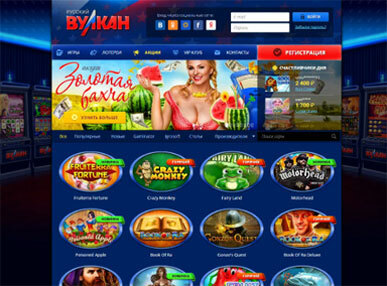 Included on them are links which enable players to place games into categories like love games, table games slots and game software developer. Players can locate any game almost instantaneously by using the quick search box located at the beginning of the list of games. Trada can be accessed on mobile devices like a tablet or smartphone, in conjunction with being available on a Mac or PC. The catalog of games available, is one that is extremely impressive, as it had numerous offerings from industry stalwarts like Microgaming, NetEnt, Plays on, IGT, WMS, Rabcat, iSoftbet, Pariplay, Quickspin and many more. This translates to players being able to access over 600 games, with the bulk of them being video slots. However, also available on this site, are classic slots. There are no progressive jackpots which should be seen as a disappointment. It does appear the prevailing trend amongst online casinos is to offer slots. However, Trada Casino diverges from this with its offerings of table games such as Pontoon, Blackjack, Roulette, Oasis Poker, Baccarat, etc. Also available are numerous variations of video poker titles and live video games which appeal to those wanting a realistic casino experience. There are games for any player, with table limits on many a variety of Roulette, Baccarat or Blackjack tables ranging from £5 to as high as £5000. Like most online casinos, Trada Casino has numerous payment options for players to select from, including e-wallets, credit cards, and to deposit, bank transfers. There is an assurance that all withdrawals are processed within a day. It is imperative to note the weekly limit on withdrawals, which stands at £10,000. Customer support can be reached via email and live chat from 9:00 to 23:00 GMT. There is, however, no telephone support available, but the support provided via the available channels are extremely helpful enough to answer any questions or issues that may arise. Trada Casino makes use of a standard SSL encryption to safely store player information during traffic from its servers to the player’s computer. This encryption is always active, whether a player is browsing or playing a game and especially when dealing with the bank section of the online casino. It is safe to say that the hype surrounding Trada Casino has been earned, thanks in part to its large array of games, the amount of transparency concerning payouts as well as the speed at which these payouts are made. There are some improvements to be made in certain aspects, with the most glaring being player funds segregations. However, it does not take away that Trada Casino is a casino that should be enthusiastically recommended.